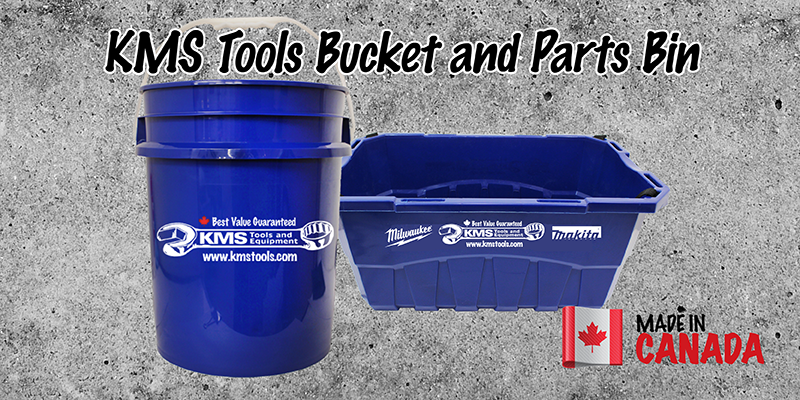 Add a little style to your summer clean up project with a hardy KMS Tools bucket or KMS Tools parts bin. Both are made in Canada! Featuring a handle with ergonomic grip, the KMS Tools 5 gallon bucket is ideal for mixing mud, holding tools, storing accessories and much, much more. It has a KMS Tools logo on one side and either a Makita or Milwaukee logo on the other. Made of injection-moulded high-density polyethylene, this bucket is both strong and portable. Grab a couple for the jobsite, shop and shed. With a heavy-duty strap and wide open top, the KMS Tools parts bin is as useful as it is rugged. From power tools to spare automotive parts, this bin holds anything you can fit in it. The possibilities are endless. So when it comes time to organize your workshop, tidy up your garage or rearrange the bed of your pickup, grab one of these durable Canadian-made storage bins and keep your workspace clean and snazzy. 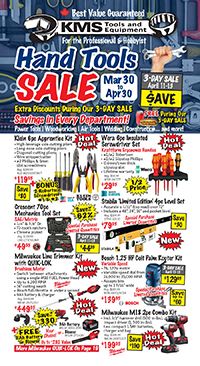 This entry was posted in Archives, Made in Canada and tagged KMS Tools, main_page, tool boxes by Your Friends in the Tool Business. Bookmark the permalink.